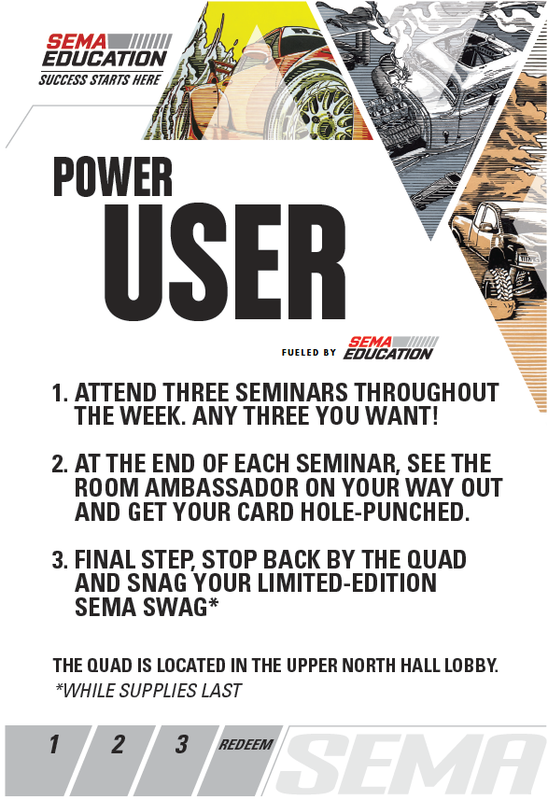 POWER USER: Pick-up your Power User punch card from The Quad to earn SEMA Swag. 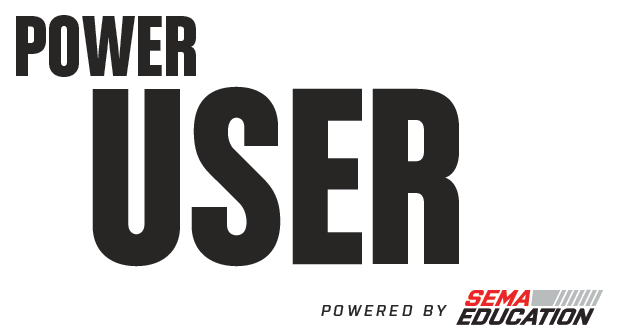 Learn how to become a Power User. PROFESSIONAL DEVELOPMENT: Attend more than 60 free education sessions* specifically designed to enhance your professional career. INDUSTRY CAREERS: Check out the latest job openings using the SEMA Career Center online job board. Search for jobs, upload your résumé or find qualified applicants. 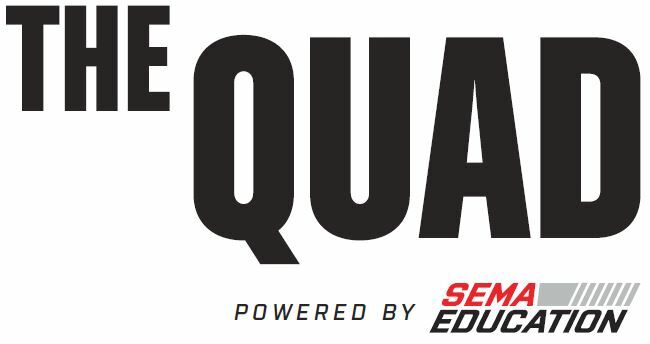 STUDENT PROGRAMS: Network with industry leaders, meet new faces and apply for industry jobs using the SEMA Career Center online job board. *ICAR and SCRS are paid seminars. 1. Attend three seminars throughout the week. Any three you want!